A new post this time on the other topic that occupies a lot of time, looking at China and Russia’s relations with Central Asia. It is in essence the transcript of a presentation Sarah and me did in Washington at the kind invitation of the fantastic Marlene Laruelle of George Washington University and Director of their Central Asia Program. As ever, more on this topic to come, more stuff can always be found on China in Central Asia. It is worth noting that, despite this political leverage Russia has over its former empire, the Central Asian states are by no means passive in their relationship with Russia. Independence of action varies between the five states, but it has expressed itself in subtle ways. For example, in the UN vote on Crimea, Kazakhstan and Uzbekistan abstained from voting. Although potentially more symbolic than reflecting real intention, Nazarbayev has made statements in which he says Kazakhstan will leave the EEU if it ceases to be in Kazakhstan’s economic or political interests to be a member. An area of general agreement between Russia and Central Asia, however, is the definition of and desire for political stability in the region. Although there are certainly concerns around how Tajikistan is currently handling its fragile political situation, the Central Asian states are as averse to abrupt regime changes or color revolutions threatening the status quo as Russia. This allows for a consensus between Russia and Central Asia towards political and governance norms. 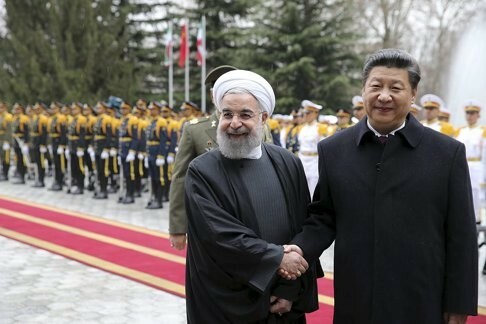 China is certainly engaging in a different way politically with Central Asia compared to Russia. China’s political role in the region could be described as latent but one that has not yet manifested itself so overtly. It is certainly a more subtle political actor than Russia. 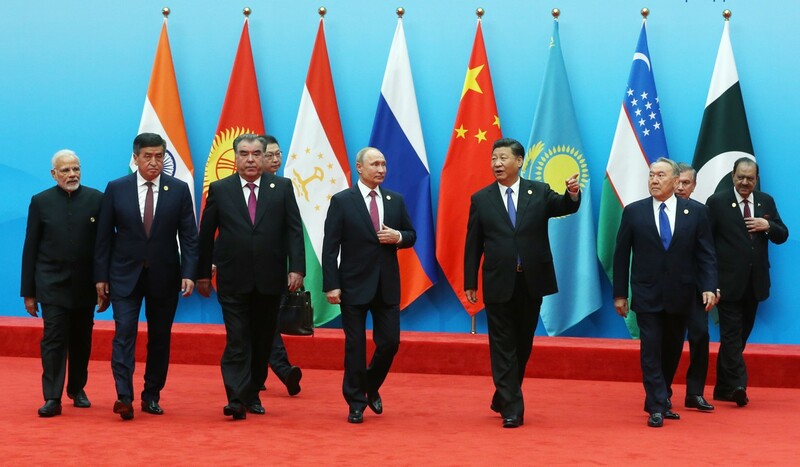 However, there are indications that Central Asia plays the role of testing ground for Chinese foreign policy efforts, meaning Central Asia forms what could be described as China’s “inadvertent empire.” The belt and road vision is a prime example of this. It was significant that Xi Jinping announced the Silk Road Economic Belt (SREB) at Nazarbayev University in 2013. This represented a vision that built on something that had already been happening for years in Central Asia. China had long been building infrastructure using linked loans, which allowed domestic companies to “go out” and build in Central Asia. The announcement showed Xi Jinping stamping his name and authority onto a coherent foreign policy that was based on existing activities. China’s “testing ground” has also manifested itself in other formats, particularly those that are multilateral. The SCO is the best example of a structure through which China can test its security policy in the region. Moreover, a contrast between Russian and Chinese foreign policy in Central Asia is that China’s policy is closely linked to addressing domestic concerns. For China, it is much more about ensuring stability and development in Xinjiang. Central Asia is an important trade link to ensure access and opportunities for Xinjiang back home. Thus, it is much less about spheres of influence for China. Rather than ensure explicit political loyalty to China within Central Asian governments, which features more importantly in Russia’s foreign policy, China strives more towards developing good economic ties. Of course, political allegiance and support assists doing business in the region, but the ultimate aim is economic utility for China. One question, the answer to which is not yet clear, is when does this economic power express itself politically? There are a few examples of how this might express itself. For example, in Kyrgyzstan there have been cases of Chinese businessmen facing serious trouble with local corrupt officials when they have failed to pay off the right people, often ending in violence. The Chinese Embassy in certain cases has expressed anger directly to the government of Kyrgyzstan, demanding for an apology. For the most part, however, China’s political role has continued to be consistent with non-interference. China is happy to be the largest investment partner to the region, but does not wish to own the political and security problems of Central Asia in the same way Russia is prepared to do. Therefore, in the security sphere, Russia still seems to be the dominant player. The Chinese have been active in terms of border security, military aid and some arms deals. It has conducted training with Tajikistan and Kyrgyzstan in particular, which it views as weak links from a Chinese security perspective. Again, engagement primarily reflects China’s domestic security concerns rather than a willingness to project itself as a security power in the region. 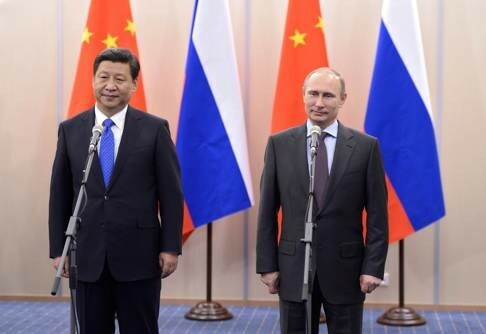 China still appears content deferring to Russia on this broader security agenda. A good example of this reluctance to intervene in domestic issues can be seen in Pakistan. Some of the recent issues around the China-Pakistan economic corridor (CPEC) illustrate this. China’s priority is to build a corridor from Kashgar that ends in either Karachi or Gwadar, gaining sea access. However, it appears China was not quite prepared for Pakistan’s internal disputes over the route and is not clear on how to mediate this discussion. The Chinese Embassy in Islamabad was forced to issue a statement on this, essentially sending the message that CPEC is a project that should benefit the entire country. It is up to Pakistan to handle the local politics. Looking back to Central Asia, tensions in regional politics certainly present challenges to China’s intended implementation of the SREB. These are challenges that China will be reluctant to mediate directly. Both Russia and China clearly provide economic incentives for the Central Asians to cooperate with them. It seems that Russia is much more willing to leverage these incentives, and indeed pressure Central Asian states economically when useful, particularly to extract political gains. A prime example of this pertains to the Manas base in Kyrgyzstan. When Kyrgyzstan was discussing closing access to the base for the US in 2009, Russia offered a huge aid package to Kyrgyzstan as an incentive to terminate the US contract. When Bakiyev went back on this deal, Russia used its soft power as a tool to pressure Kyrgyzstan to reconsider, particularly pushing stories of Bakiyev’s involvement in corruption as a way of de-legitimizing the leader. This demonstrates Russia’s approach of rewarding, but also punishing, the Central Asian states to act in a way that benefits Russia. Another example of an economic pressure point is migrant workers. In January 2015 new rules came into force that made it more difficult for migrant workers to work legally in Russia, such as mandatory Russian language tests and increased costs for documentation. This in particular affected Tajik workers, which led many to believe this was Russia’s way of pressuring Tajikistan to join the EEU. It is easy to interpret every policy Russia has towards Central Asia as a form of leverage. This is not only an over-simplification but also may be unfair to Russia. However, some of the pressure points Russia can exploit are vulnerable, indicating that the Central Asian states are by no means inevitably tied to Russian foreign policy. For example, given the economic situation in Russia, remittances are dropping. These constitute an economic life-line to Kyrgyzstan and Tajikistan in particular, and if they drop there is less incentive for these countries to respond to some of Russia’s more political demands. Russia has had to cancel hydropower projects in Kyrgyzstan, which it had pledged to fund, not only showing Russia as unreliable but simultaneously reinforcing the perception that China is the real economic player. Although in the long-term it is unlikely that Central Asia-Russia economic ties can be severed, it still shows that some of Russia’s points of leverage are far from guaranteed. The EEU is Russia’s big economic draw, and tool, for the region. Although in principle it could be positive in furthering economic integration, it so far has shown many negatives. For example, in the first three months of 2015, inter-member trade actually dropped. The fact that Ukraine is unlikely to join unless there is another domestic political pivot means there are huge limitations to the benefits that the Central Asian members can reap from the union given the over- dominance of the Russian economy. Moreover, given the rhetoric from Nazarbayev on the EEU, there are also clearly fears that it is used by Russia as a political tool. The failures of this Union have manifested themselves in the protectionist measures initiated by member states. For example, Kazakhstan has implemented oil embargoes against Russia. There are complaints from Kyrgyzstan regarding the lack of benefits the EEU brings the country, whilst highlighting that it had no choice in joining. Obviously this also plays into Kyrgyzstan’s interests of extracting more economic incentives from Russia. But fundamentally there are question marks as how political, rather than economic, the strategy is behind the implementation of this project. China in contrast is investing in Central Asia at a rate that Russia knows it cannot compete with. 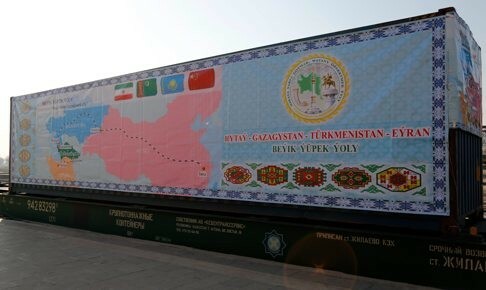 China is now the biggest trading partner of the Central Asia region, having displaced Russia. There are also risks for Russia that at least symbolically Central Asia becomes a Chinese foreign policy project. Having been very cautious about endorsing the SREB, Russia supported the project by agreeing to find ways to integrate the SREB with the EEU. The practicalities of such integration are unclear given the difference in structure of each strategy. However, it is likely instead that the EEU will be subsumed rhetorically by the SREB project, i.e. that the EEU becomes a part of the bigger Chinese project. This signifies a loss of prestige for Russia. One unknown for the Belt and Road project is how the economic slowdown in China might affect the project’s implementation. There have already been some frustrations voiced in Central Asia on this front. For example, Nazarbayev noted that Kazakhstan is being affected negatively not only by the economic slowdown in Russia, but also by that which is occurring in China. Turkmenistan is struggling to find consistent gas demand in China, and subsequent pricing, as planned. The enthusiastic push to making TAPI a reality speaks to the urgency of Turkmenistan’s need to find new gas markets. There have also been challenges in Xinjiang’s own domestic build-up, the powerhouse of the SREB policy. The planned robust economic development there does not seem to have taken off at the speed required. This will have knock- on effects across the border. On the other hand, the Belt and Road presents a potential outlet for the challenges causing the slowdown in China. If the infrastructure construction market is slowing down at home, and there is excess capacity in companies and materials at home, exporting it abroad is a strategy for, at least in the short-term, ameliorating this. Another challenge in the Belt and Road discourse pertains to the huge loans that China is dispensing to the Central Asian states, with little confidence that they will be paid back. Although economically this may not make sense, it does speak to the longer-term perspective that China takes with such loans. They are much more patient about such debts. Moreover, the way these deals are structured has an added benefit to China. For example, China’s Eximbank will grant a significant loan to the Tajik government to implement a series of projects on the condition that a Chinese company will implement it. Often this means that the money never really leaves Beijing – it is simply shifted from one Chinese state bank account to another. 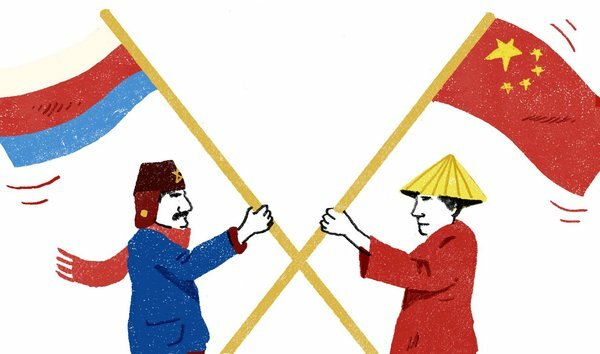 Thus, in conclusions, there is always potential for conflict between two great powers such as China and Russia in Central Asia, but currently there seems to be a useful division of labor between the two. There are overriding geopolitical dynamics between Russia and China that mean they gain more from avoiding confrontation. 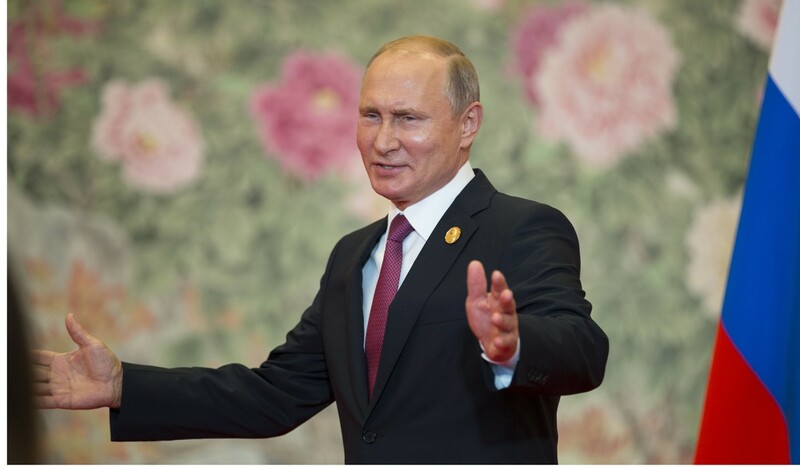 China does not seem perturbed by Russia’s desire to maintain its neo-imperial approach to the region, as long as it does not conflict directly with China’s economic interest. Russia is aware it cannot compete with China in terms of economic investment but knows that it can maintain the security mandate in the region. This creates a genuine mutual respect between the two in Central Asia. Moreover, there is an informal consensus on the need for political stability between Russia, China and the Central Asian states. That is not to say that tensions are absent. 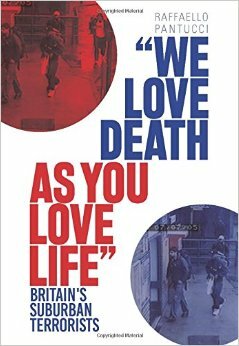 People we have spoken to in Beijing hint that the Russians are difficult to work with. People we have spoken to in Moscow are innately suspicious of Chinese geopolitical intentions in the region. So far, however, it is difficult to see where full-blown conflict between the two might occur. 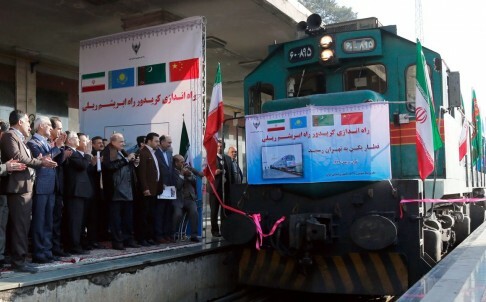 And now another (very short piece) for the South China Morning Post, this time looking at the implications to Russia of the opening up of Iran and what this means for the Silk Road Economic Belt vision.